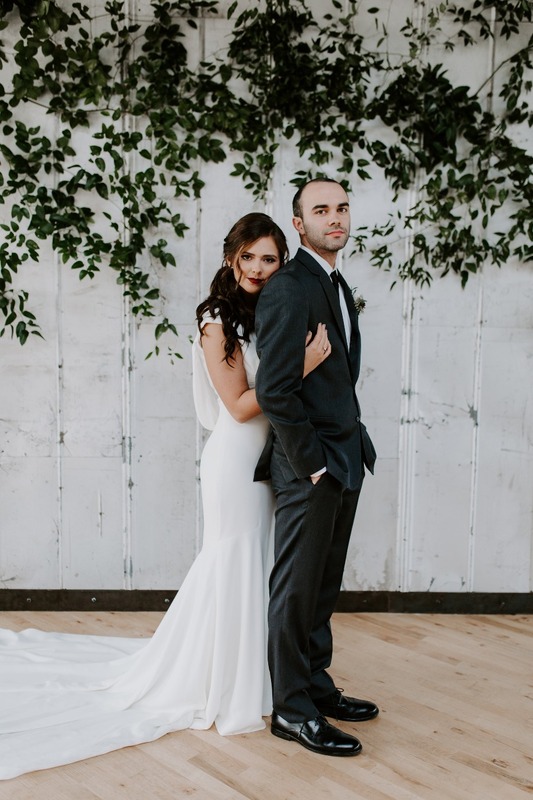 When creating your best day ever, take it from this bride, “Have fun with the planning process and make it uniquely you + your love through every little detail. 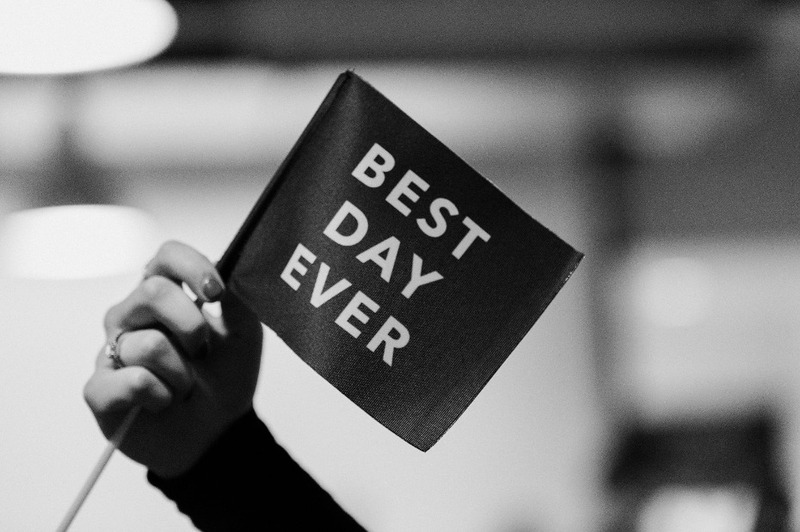 It is okay to change things up from the way they are always done, and it's even okay if not everyone likes what you have done.” Can I get an AMEN? 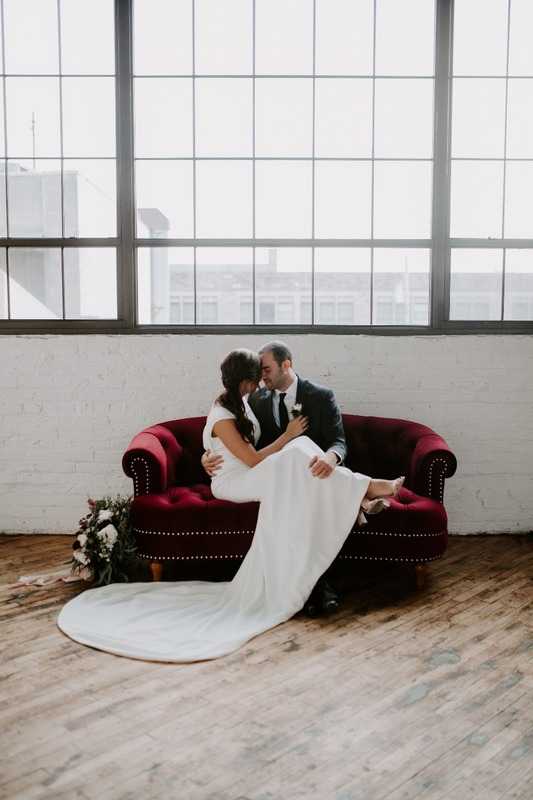 This bride and groom designed their day around their dream wedding aesthetic, and they made no apologies for that. 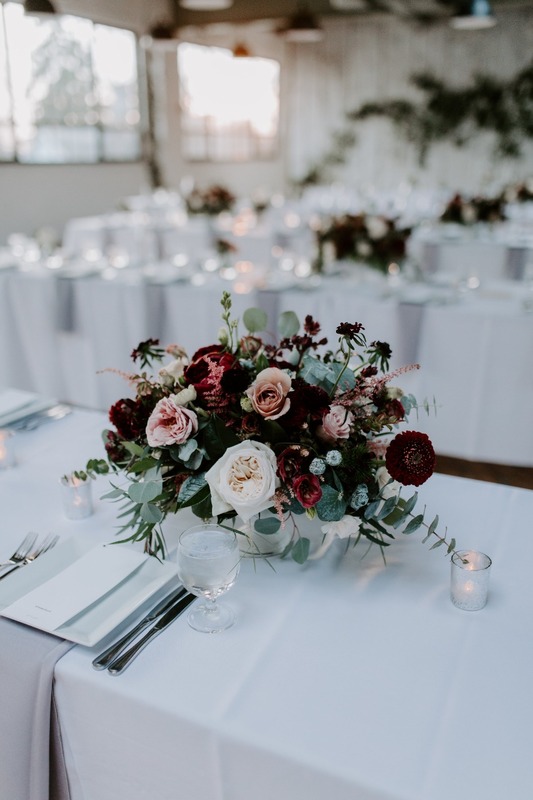 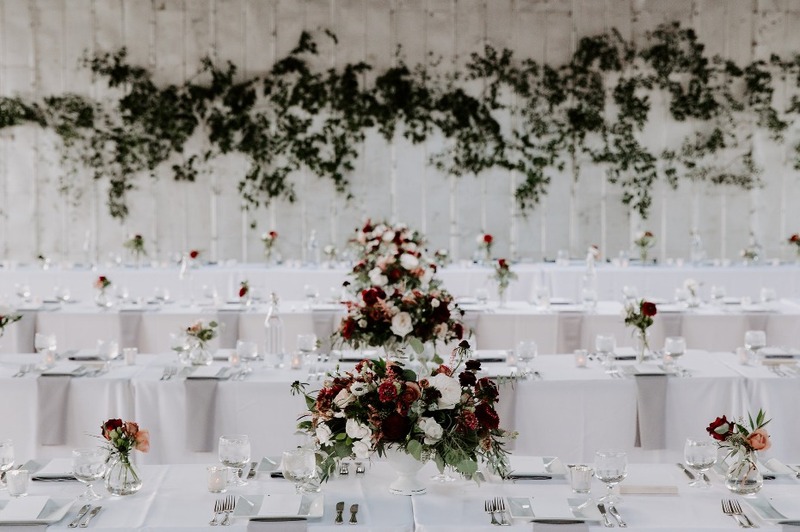 The minimalist, industrial vibe was beautifully carried throughout their entire day with pops of blush and burgundy in the lush floral arrangements. 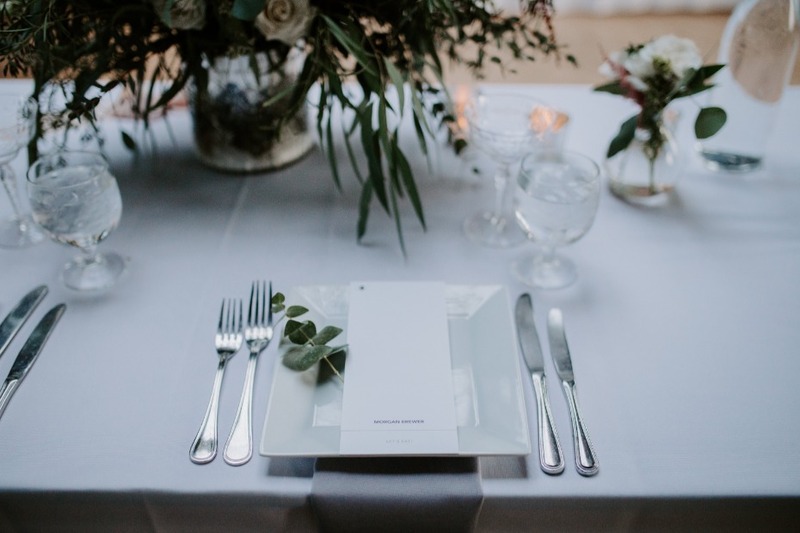 It’s clean, fresh and downright beautiful. 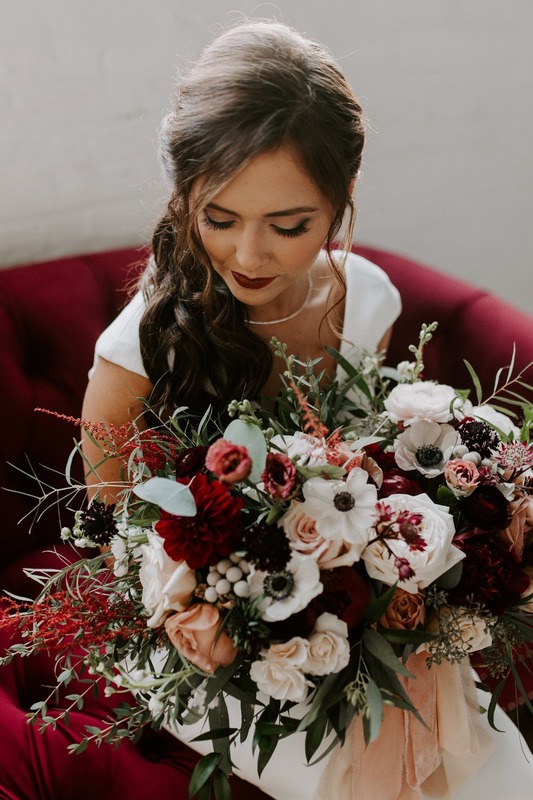 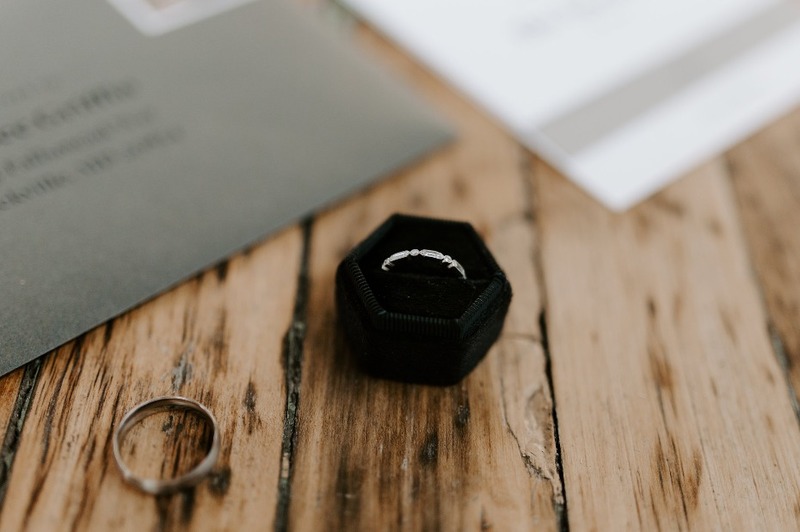 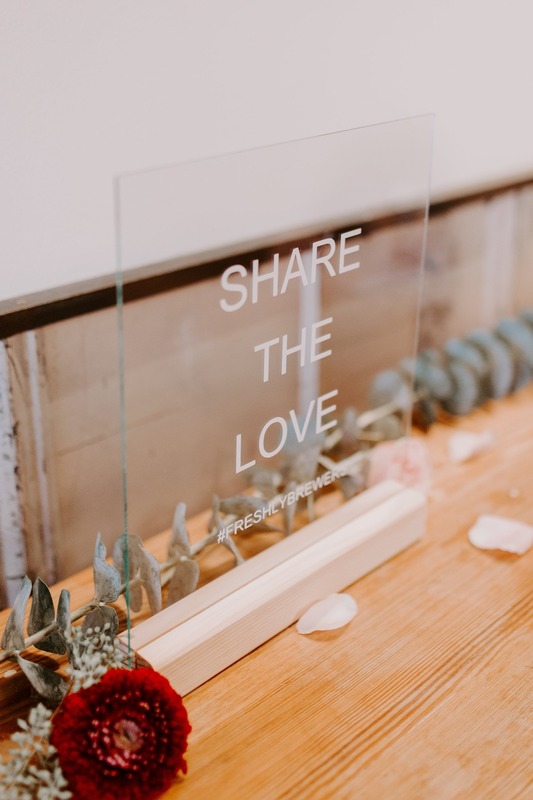 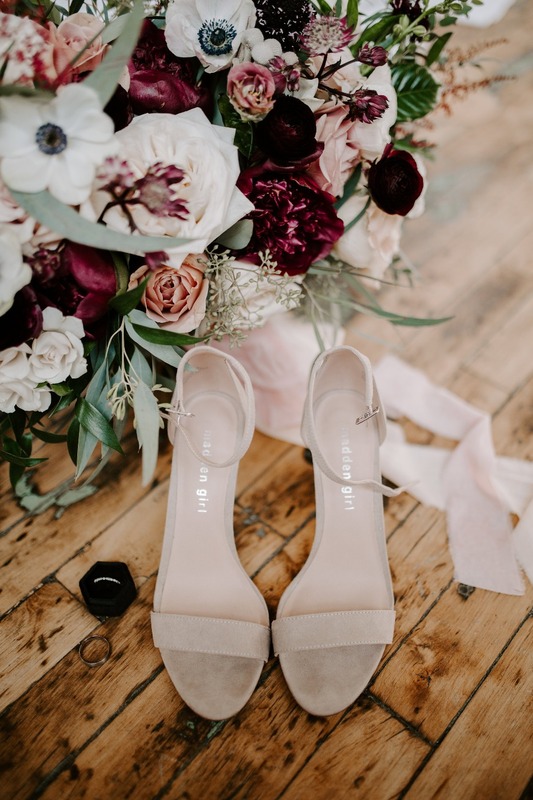 Keep scrolling for more eye-catching details, and enjoy the full gallery captured by Mikayla Herrick Photography below. 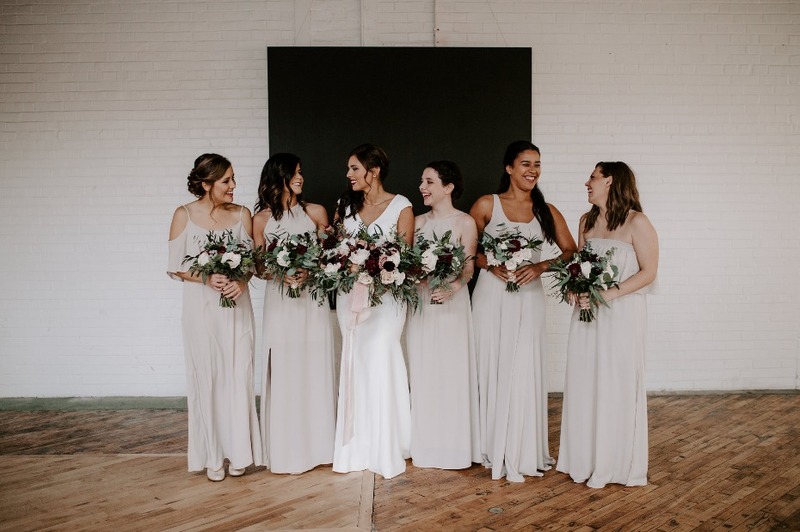 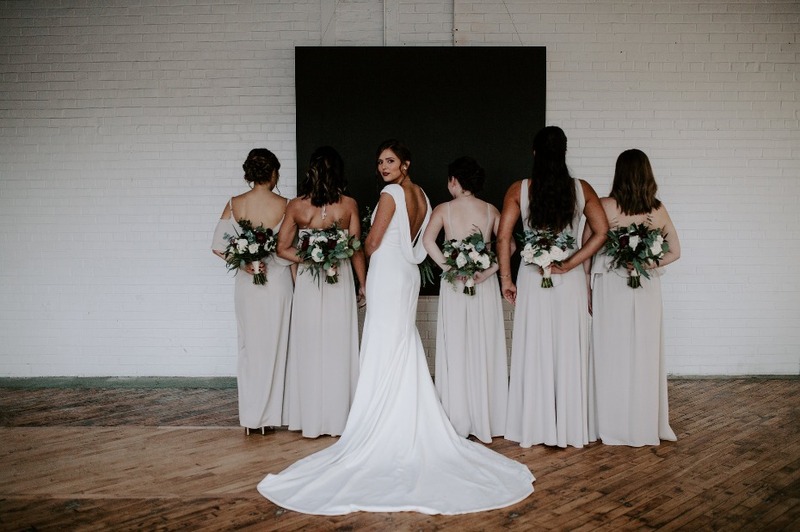 The floral arrangements by Kelly Shore of Petals by the Shore were the perfect pop of color and the huge bridal bouquet contrasted the simplicity of Morgan’s Theia “Daria” gown. 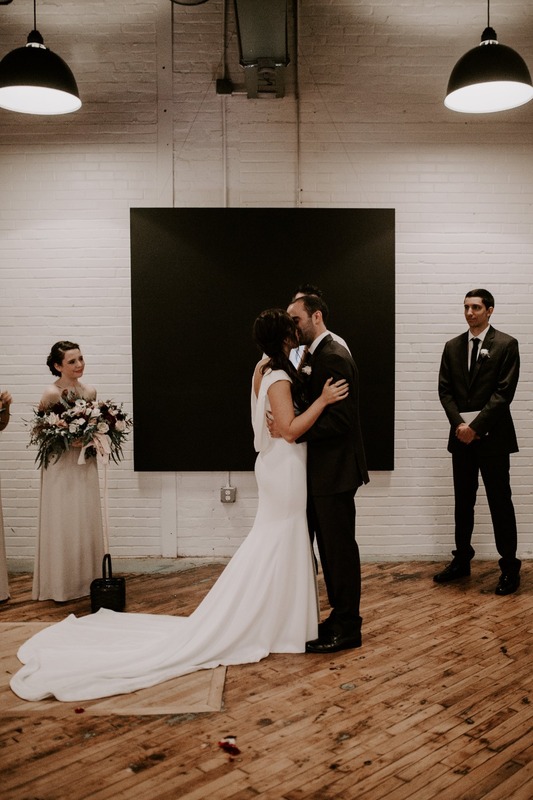 The six-foot square black painting which served their ceremony backdrop was made by one of their good friends, Addison Tossey, and was given to them as a surprise wedding gift at the end of the evening. 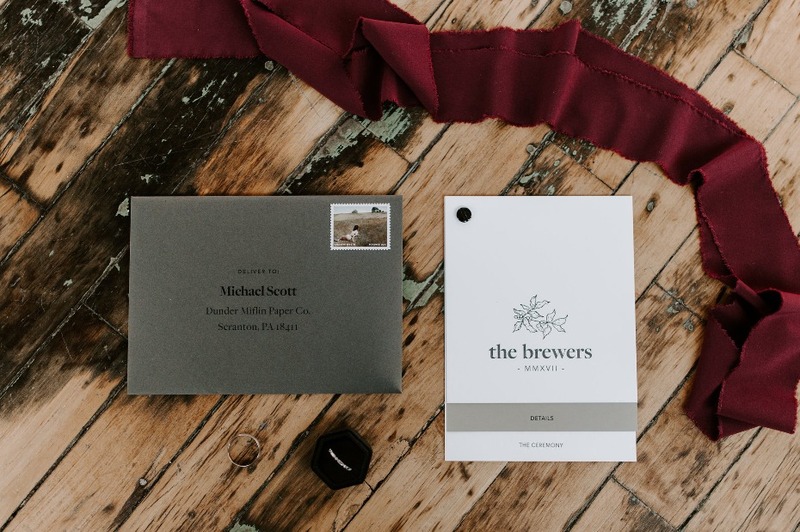 When working with a minimal design, it is difficult to resist the temptation of pinterest and wedding blogs. 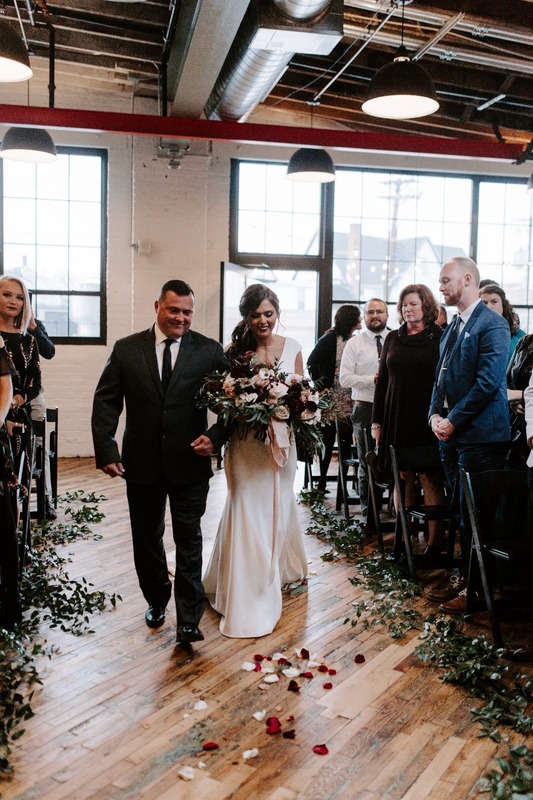 Morgan and Tyler were ruthless and only included truly meaningful details. 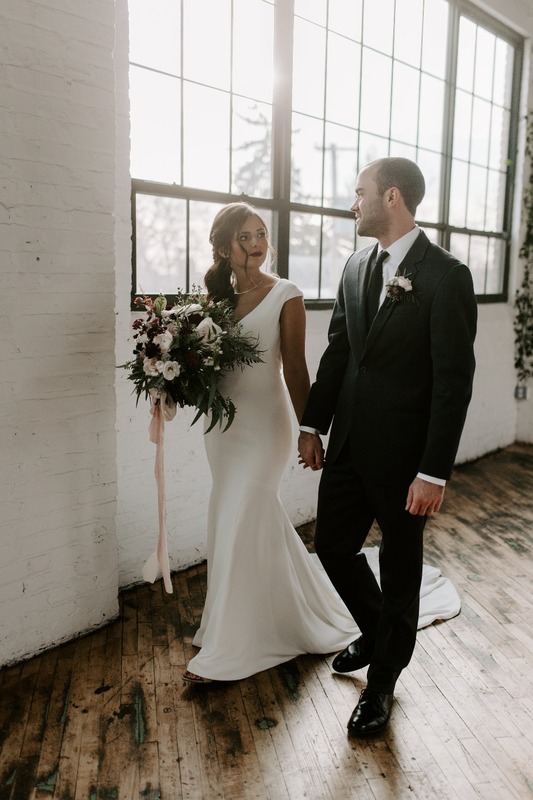 They explained it saying, “There is something so beautiful about stripping down anything that doesn't matter to focus on what is truly important.” Both lovers of neutrals, they kept to a limited palette with the only color being brought in through the florals. 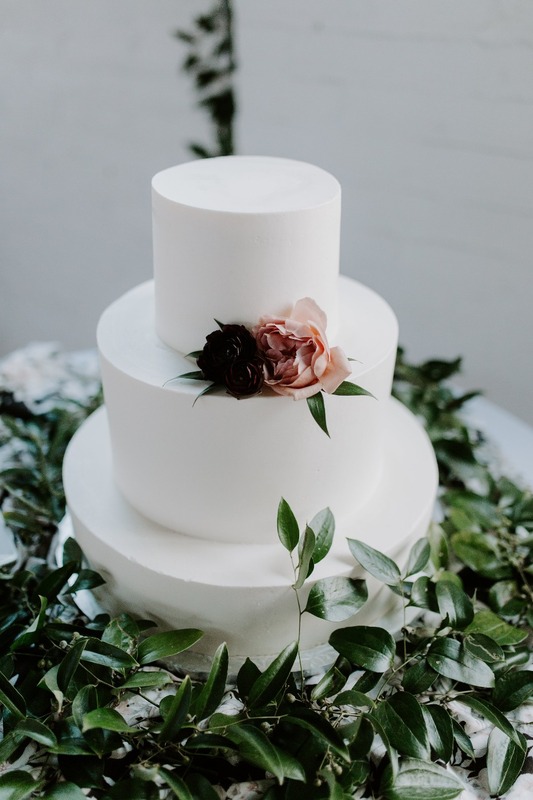 They worked together on a wedding logo and a floral pattern that served as the envelope liner, welcome bag accent and fabric overlay for the cake. 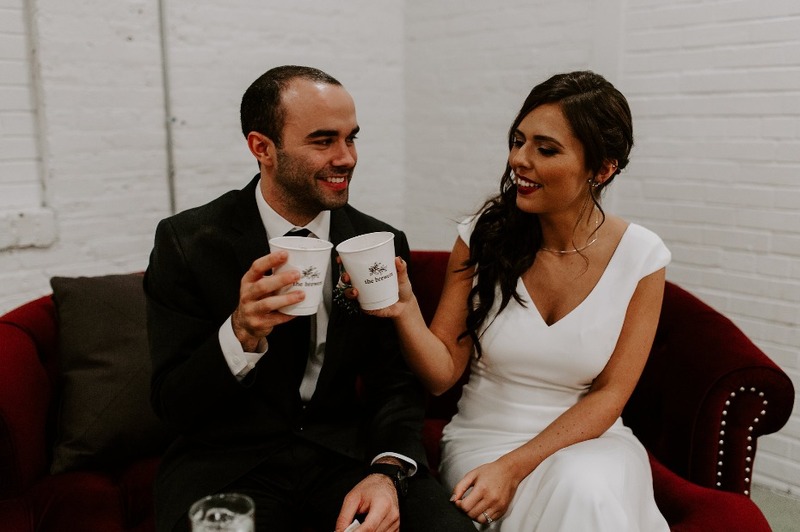 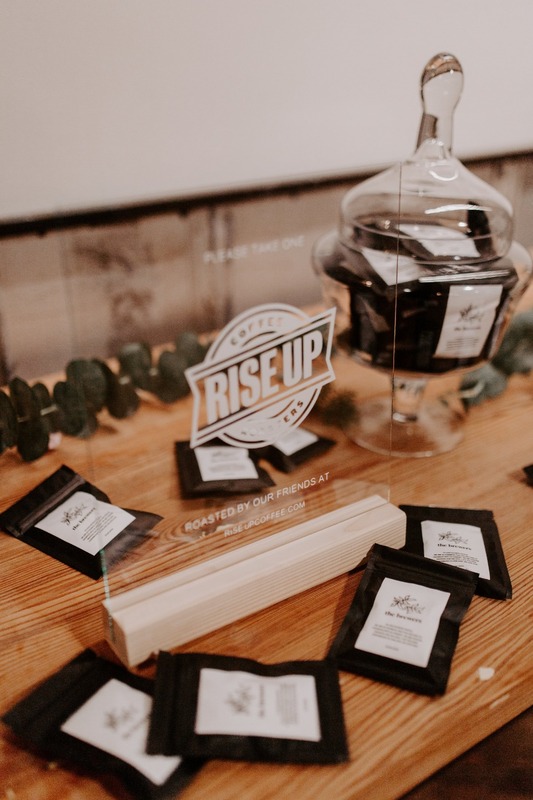 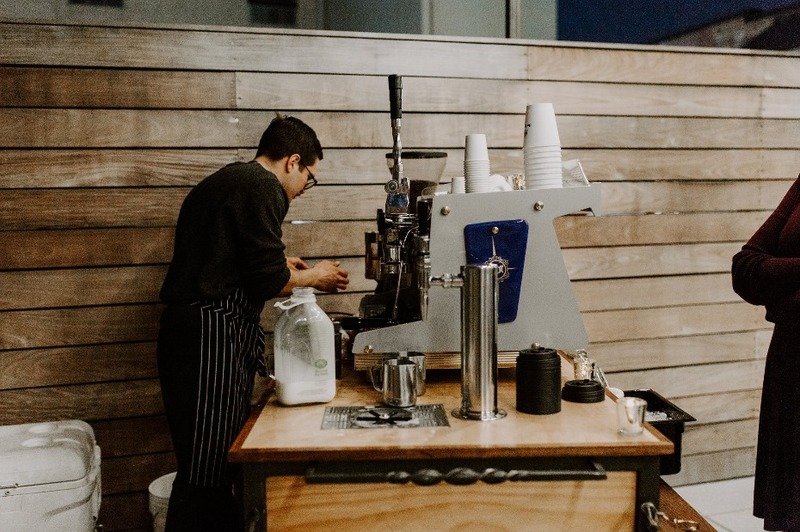 Their shared design was carried throughout their wedding details- Save the Dates and invitations, coffee favors, menus, seating display and table numbers, signage and, most loved of all, custom espresso cups. 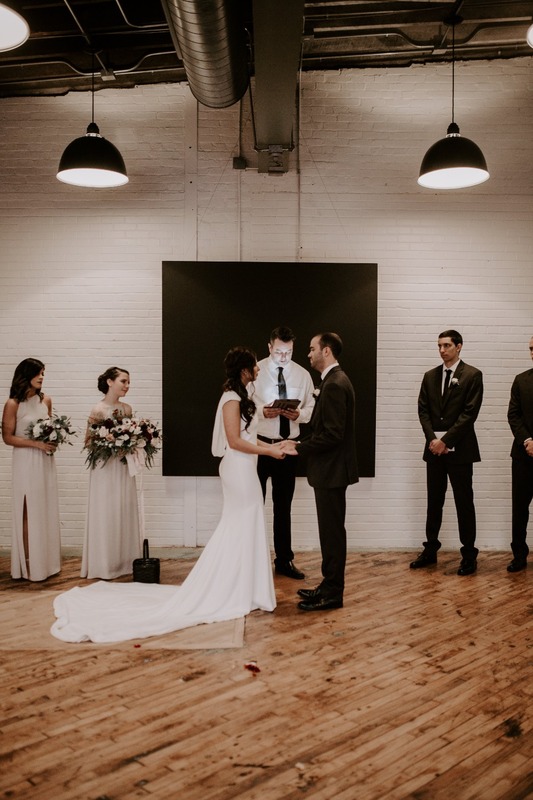 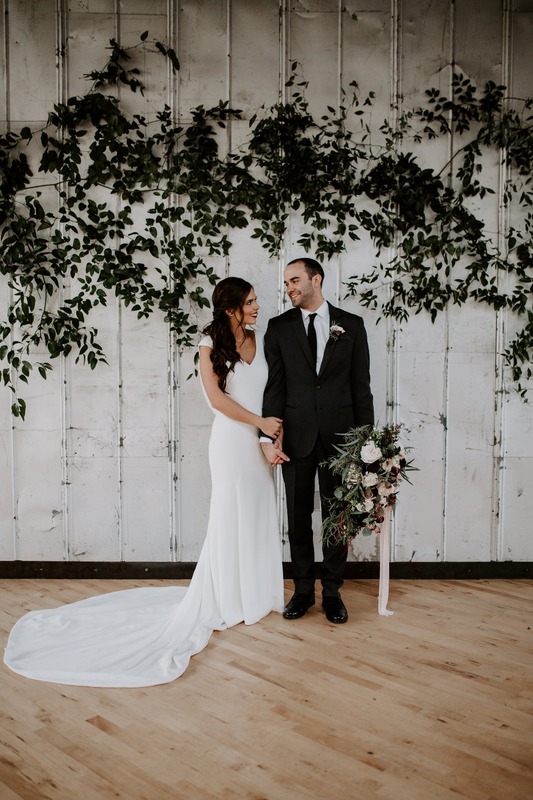 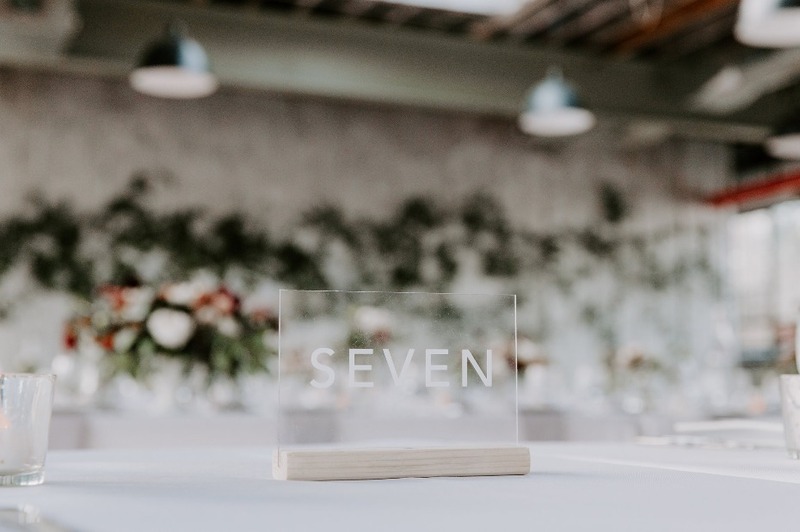 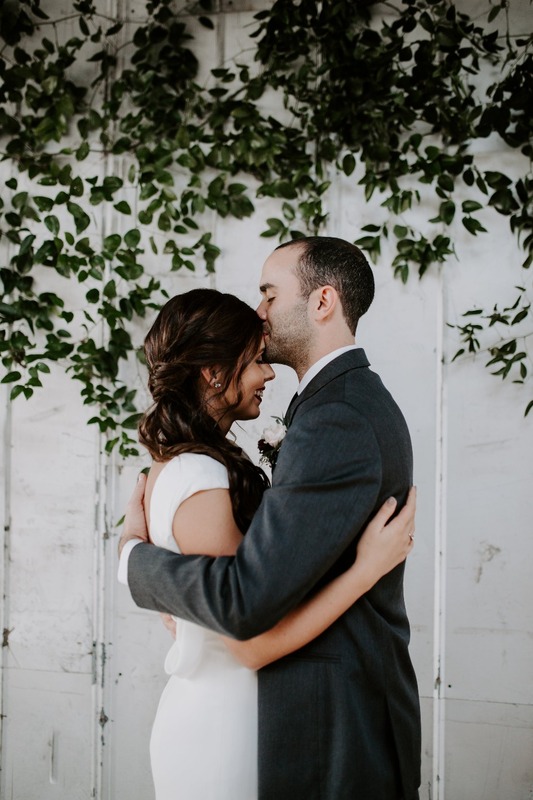 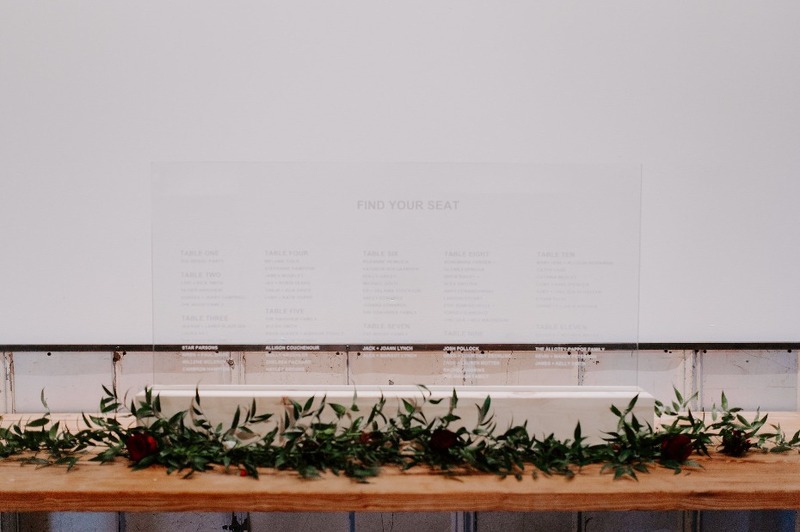 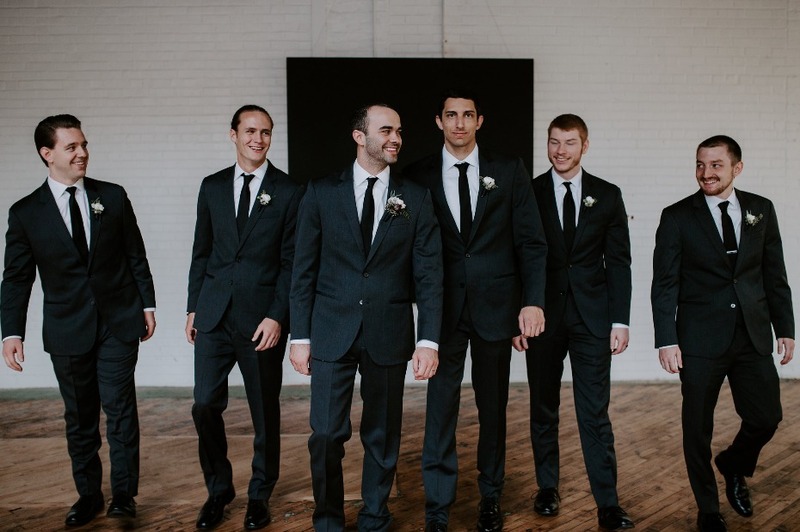 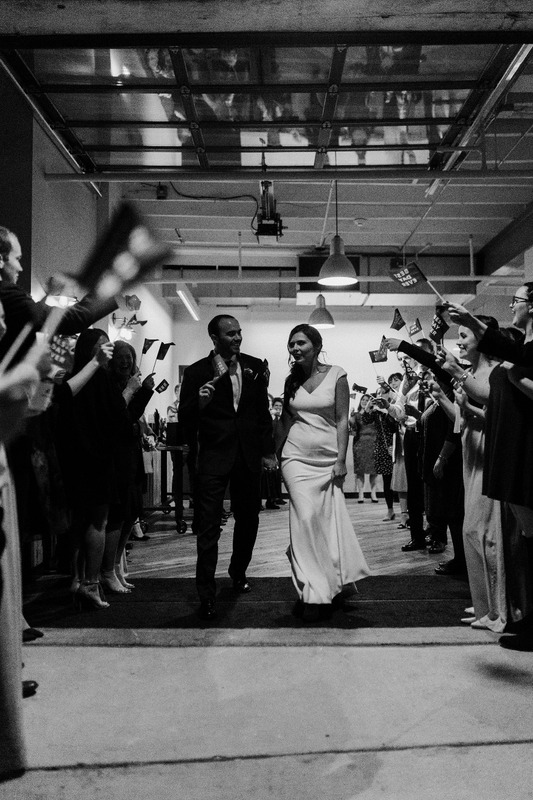 Check out the wedding film from Harrison Wedding Films below to get a closer look at this minimalist industrial wedding!